I'll never forget Riley's session. Not for as long as I live. You know why? Because a raw chicken LITERALLY fell from the sky. Literally. I hold my breath when a redhead walks into the studio. Like...I don't get excited about TOO many things but when I know I'm going to get to photograph a redhead....whoa. Give me space for my happy dance! Smile, laugh, share all your joy, Hailey. You're going places in this world. Enjoy it! They are seriously straight out of some Pinterest page that's only purpose is to make you wish you had their life! KayLea, those pants slay me. Karlea, I'm sorry...was this a family session with a seven year old or a Senior Session....sheesh! Krew, handsome dude. I will steal you one day. Pack your bags, bud. Kyler, you gave me a run for my money, Little Guy. But man...when we got that smile, it almost broke the glass in my camera. I LOVE you, Beach Family!! It was two years ago that I was photographing Remy's big (little) sister, Ryly. And not to my surprise, he was just as easy and captivating to shoot. Holy BLUE STEEL, Remy. Lay off...will ya! "We have nothing to lose and a world to see." Elizabeth, thank you for being so fun to photograph. I started that day with low energy and, if I'm being honest, I was a little grumpy about all the things I had on my plate. When I started photographing you, all of the stress just melted away and I couldn't stop giggling. You are so sweet! She couldn't be more different. More unique. I mean, who can rock a Harry Potter wand for their Seniors? This girl. Obviously. Three Daughters. I'm sure dad thought...."What the heck am I going to do with THREE GIRLS? Prom dresses? Boyfriends? Weddings? 'That time of the month'?! What am I going to DO?!" But let me tell you, he figured it out. Because these girls clearly are growing up into lovely, smart, strong, happy young ladies who adore their mom and dad. Thank you for letting me photograph your beautiful faces, King Family!! Porter, Porter, Porter. The first time I laid eyes (and a camera) on you was almost exactly two years ago. In your little Dinosaur Halloween costume. Three months old. What a little joy and treasure you have been to photograph over the last two years. Jeff and Lexi, thank you from the bottom of my heart for trusting me to capture your Little Man and your family. Maybe it's because I'm preggers and emotional but I get choked up when I think of getting to watch you grow as a family. You are so special!! * Don't forget! Today is the last day you can book your senior session for $100 off! My name is Meghan Wood and I'm in the graduating class of 2017. Some of my interests include volleyball, hiking, or really anything outgoing. I'm very excited for what my senior year has in store for me. I am very excited to begin my senior year and make it one to remember. After high school I plan to go to college and find something that I love and then hopefully make a career out of it! I have lived in Central Oregon the majority of my life. I've lived on a small 10 acre farm in Powell Butte for about 11 years now, and I've been surrounded by lots of farm animals since day one! I've always had a love for horses and riding. Another one of my big passions is singing and music. I play piano and sing for Shiloh Ranch Cowboy Church here in Powell Butte, and it's something I look forward to doing every day! After high school I plan on going to Western Oregon University in Monmouth, Oregon and major in elementary education, 3rd or 4th grade. Lots of people ask me if I'm up for the challenge of dealing with little ones at that age, but I figure that's the age kids start learning the core standards of academics that will continue all through middle school and high school. While these years can be hard for most kids, I want to be a fun, loving teacher that can connect with them and hopefully be a role model to them. In my senior year, I look forward to job shadowing and interning at any schools I can in order to prepare myself for my dream job. I also look forward to the memories and friendships I'm going to make in the last year of high school! We love our Dutch Bros! Not only do they make delicious beverages, but they have a way of making you feel like a friend. Friendship is important to us. In fact, we would LOVE for you to bring a friend to your senior photo session. Not only will they help you be more at ease and bring lots of laughs, but they will be able to join in on the fun! We love to provide our seniors with a fun portrait of their friends! You guessed it! We are giving away two $20 gift cards to Dutch Bros! Make sure to fill out the form on this link to enter to win one of our 8 Senior Week prizes. We will be announcing all winners tomorrow! Don't forget! If you pre book your senior session during Senior Week, you will receive $100 dollars toward your session. That is the best deal we offer! I am extremely excited for my senior year! My sports seasons are looking like they will be successful in 2017. I am a three sport athlete and have been all throughout high school. I play football in the fall, wrestle in the winter and play tennis in the spring. I am a 4.0 student and have strived for academic success throughout high school. I have been involved with FFA as well as National Honor Society. I have no idea exactly what I want to do after high school, but I do know that I want to do something that helps the community and the world be a better place. I'm am very excited for senior year. Mostly, having an awesome year and graduating with my friends. My plan after high school is go to a community college to get my associates degree. I want to apply for medical school/programs because nursing is the field I'm interested in. Hi! My name is Travis Farrester. I'm 16 years old. I play the bass guitar and am studying Spanish! I'm super excited for my senior year because of so many things to come. My hope is to be proficient in Spanish by graduation and to have saved up enough money to attend college. I plan on going to George Fox University, studying Spanish as well as missionary and Bible. During my sophomore year of high school my church went on mission trip to a little town called Ensenada located about 90 miles into Baja California. There we were fortunate to meet about 30 kids ages 3 to 11 and to experience life with them. The kids we worked with weren't necessarily homeless or orphans, but they didn't have everything a little kid should be able to have to enjoy life. We did things like take them to parks, soccer fields, the shoe store, and, personally my favorite, the beach! Meeting these kids touched my soul. It gave me such a different outlook on life. I saw what I have and what they didn't yet they were still so happy. From that point on my heart has been in Mexico. This is my plan and the direction I'm heading!! I want to make a difference! We've talked about the importance of makeup and clothing choices... yet another fun layer to consider for your session is accessories! You would be surprised at how much these little details can contribute to the telling of your story. So wear that special necklace or that hat you love so much. We love those little details! Need that perfect accent piece for your next portrait session? You're in luck. We are giving away two necklaces from Nashelle (valued over $100 each). Make sure to fill out the form on this link to enter to win one of our 8 Senior Week prizes! We will be announcing all winners on Friday. I'm Riley Hanks and I attend Ridgeview High school. I've been playing tennis for 7 years competitively and plan on playing tennis in college. I also love hiking and exploring outdoors. For senior year I am most excited about spending my last year of high school with my closest friends. After high school I plan on attending a university and majoring in psychology. Senior year.. After 3 hard what felt like forever years I finally get to experience it. This is the year I have been waiting for. From my last home volleyball game, my last high school prom to graduating with my best friends, it's finally here! Getting to go to college for what I have been wanting to do since I was little. From light, flowing dresses to ripped skinny jeans, the clothes that you choose for your photo shoot will add to the overall look and feel of your portraits! If you are in need of some inspiration for your next photo shoot, visit our Pinterest board! Make sure to fill out the form on this link to enter to win one of our 8 Senior Week prizes! 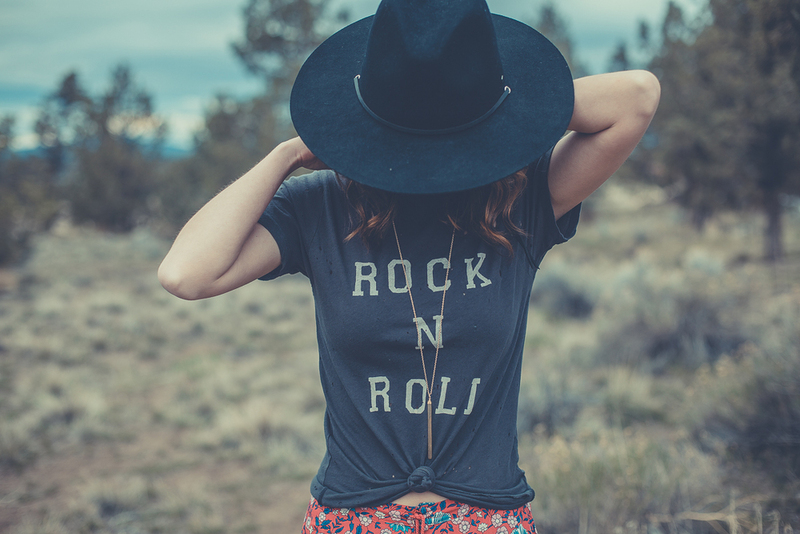 For you fashionistas, we are giving away two gift cards to Vanilla Urban Threads in Bend! We will be announcing all winners on Friday. My senior year is going to be an emotional roller coaster! It's a time to reflect on the past 4 years and how it has all helped me get to where I am today. My senior year is about finding myself and figuring out the rest of my life. I can't wait to see where my senior year takes me. My name is Obed Eriza and I go to Madras High School. I am 17 years old (a junior) and very active in many things. I play soccer year round and tennis for high school. I also have good grades in school. I'd like to say I have a pretty okay taste in clothes, which I got from my older sister. This next year is going to be one of the most emotional and crazy years of my life. It's a year of reflection on what goals, fears and plans I have for the future. Senior year is going to be all about getting prepared for college. I plan to be a pediatric physical therapist but I'm still young so nothing's set in stone. It's that time of year again: Senior Week! When you take your senior photos you want to look and feel your very best, so why not have your makeup done by our very own Kate Tuma? Kate is an award winning, professional makeup artist who has been doing hair and makeup for our Senior girls for years. We love using her for shoots at our studio because our girls feel so comfortable and confident going into their sessions! Katie and our friend, Heather Nashelle, have started an all-natural cosmetic line and are giving away two of their signature lip gloss shades for Senior Week! Make sure to fill out the form on this link to enter to win one of our 8 Senior Week prizes! We will be announcing all winners on Friday! The thing I am most excited about for my senior year would probably be getting to spend it with my best friends. I have two really close friends that I have spent my whole high school career with and being able to spend my senior year with them is so exciting. I am also really looking forward to being on the dance team at my school again because dancing is something I really enjoy. I am planning to go to college in California to become an Anesthesiologist. I really want to do something that can help people in the medical field. I would love to live somewhere warm and close to a beach. I love the sun and I think living in California would be the perfect fit for me! I love being outdoors and playing volleyball. I have played volleyball for almost twelve years. For nine years I have played travel volleyball for Rimrock. I'm excited for my senior year because it will be my last year of school volleyball and I will get to spend it with the people I love. After high school I plan on going to college to become a pediatrician because I love kids and I would love being able to help them! "A child fills a place in your heart you never knew was empty." I've known Halie for over ten years now. We met when I visited Central Oregon for the very first time. She was such a tiny little kid then! Her parents invited me to stay in their home and Halie and I shared her room...I'm pretty sure we even slept in the same bed without knowing each other. Through the years she has become exactly like a little sister to me. I'm so thankful for her and this beautiful little Oakley Girl she is carrying in her cute belly. I know I'm not her blood but that baby girl feels like a niece to me already. Love you, Bug. And your little bug baby. 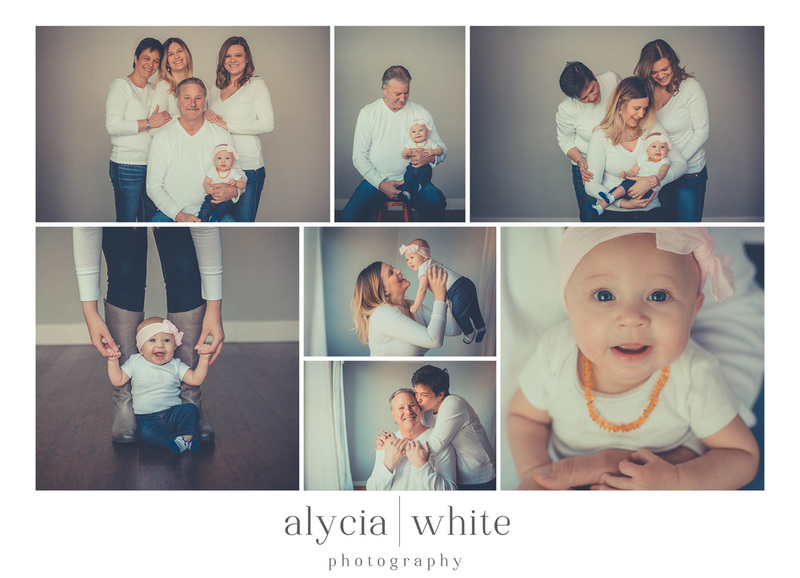 Coral was super sweet and we had so much fun on her session. She brought her best friend and her mom and had all of the locations for her session kicked out in advance. I love it when my girls choose their own locations because it makes the session so much more personal to them. Her session was so ethereal and she reminds me of a fairy princess. The lighting was perfect, the weather was perfect, her hair was perfect, her outfits were perfect, her smile was perfect. My goodness... She. Is. Perfect. This Fall has been amazing for our business. We have been busier than we ever expected. I knew there was no way I could keep up with the work load for the amount of people inquiring about sessions so I reached out to my very dear friend, Tiffany Lausen, who is an incredible photographer here in Central Oregon, and asked if she would be interested in associate shooting for me. She said yes!!!! And because of her, we have been able to accommodate more clients this season which means more families are getting photographed and more memories are being made. This images were taken by Tiffany. She was clearly the right gal for the job.